Can I update my credit card on the website? Yes! You can do this from the My Account section of your Members Area. Once you've logged in, you'll want to head up to the "My Account" section in the upper right corner. Once there, scroll down to "Payment Details" and click on Edit in the upper right corner of that section. 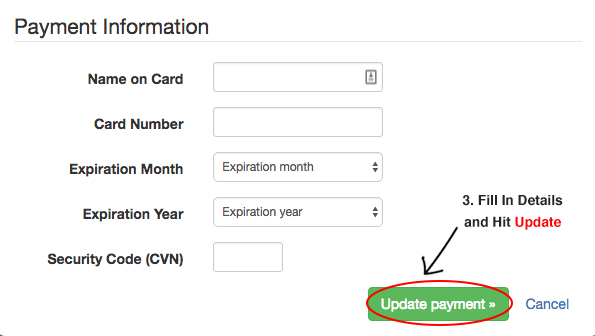 From there, you'll be able to enter your new card details.